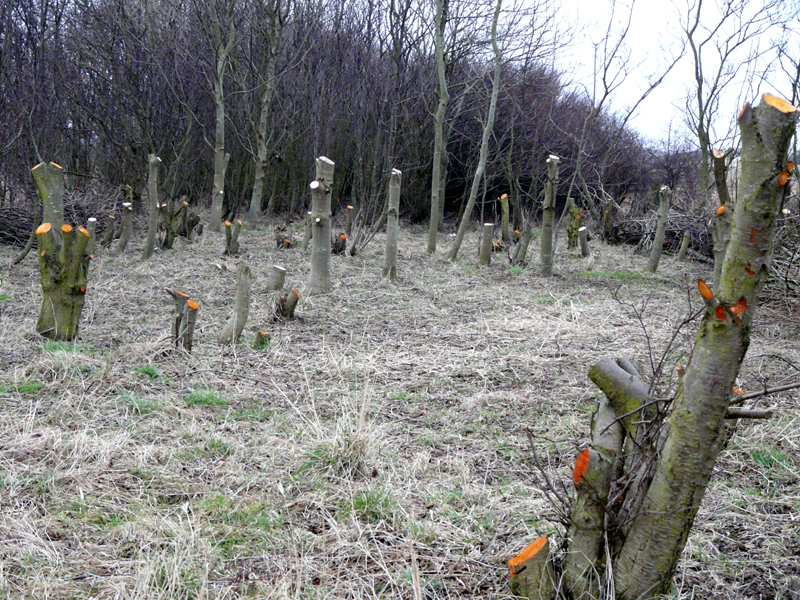 The National Trust had a group of volunteer in coppicing the trees at Druridge recently. 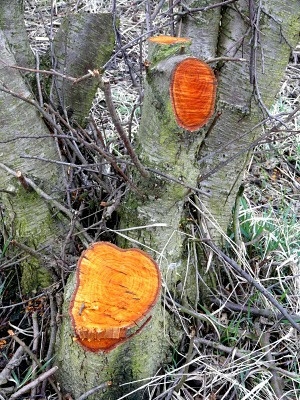 Well I say coppicing, to be honest its more like a cross between coppicing and pollarding - a hybrid technique. The reason we do this semi-pollard/coppice thing is two-fold. Firstly, it stops the rabbits eating the regrowth, secondly, it provides safe nesting 'cups' for birds amongst the new stems, clear of the ground. It looks brutal at first, all of the trees hacked down, but this is essential work. My territory mapping exercise last breeding season proved this. 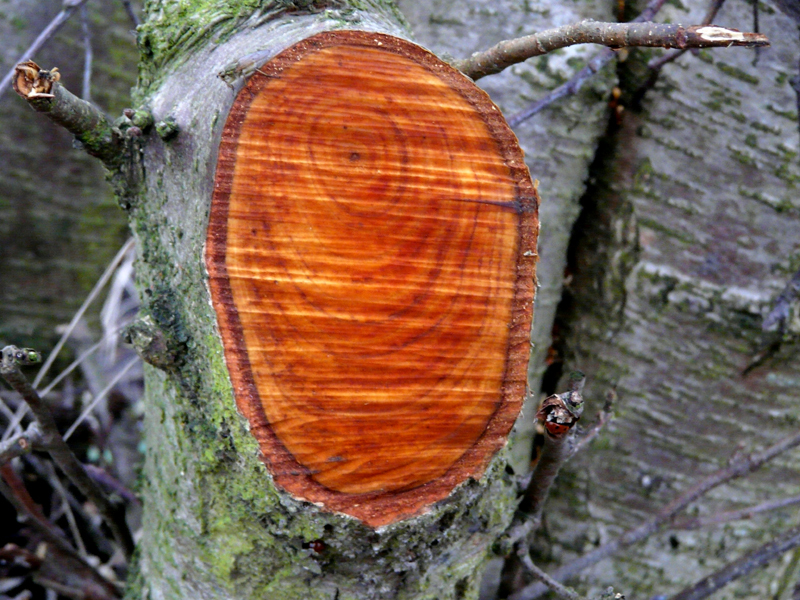 The number of species and number of territories was higher in the recently coppiced areas. 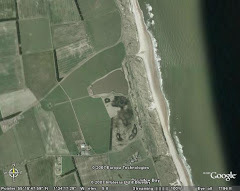 The strip of trees and bushes at Druridge is primarily alder and hawthorn, with ash, willow and some whitebeam with other oddities. 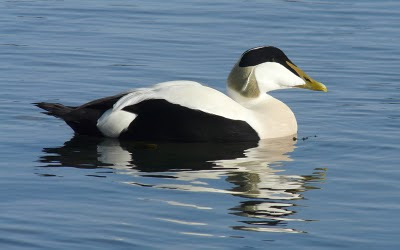 If left, the alders would get quite high, the only birds that would nest would be magpies and crows, the height would further limit the area of the Budge fields for breeding waders. 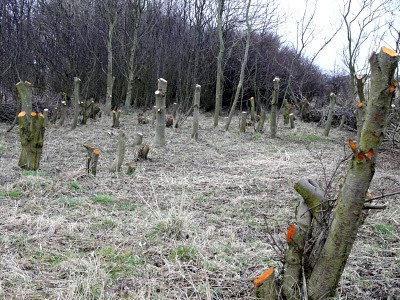 I'm off tomorrow, so were going down to Druridge to a bit more coppicing, it grows so quickly once it is cut, we can't get round it all quick enough! 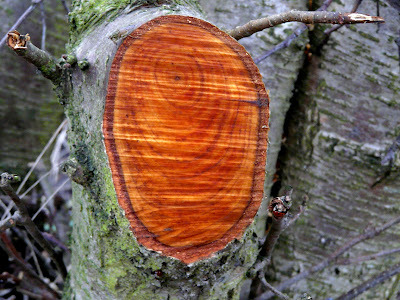 Alder is quite pale colour straight after it is cut, but it soon turns this lovely orange colour. Today wasn't so grey, by far the warmest day of the year so far. My work took me to Seahouses where the drake eiders are looking rather resplendent in their breeding plumage! Yes, I like that Pollicing Copparding thing, its good.